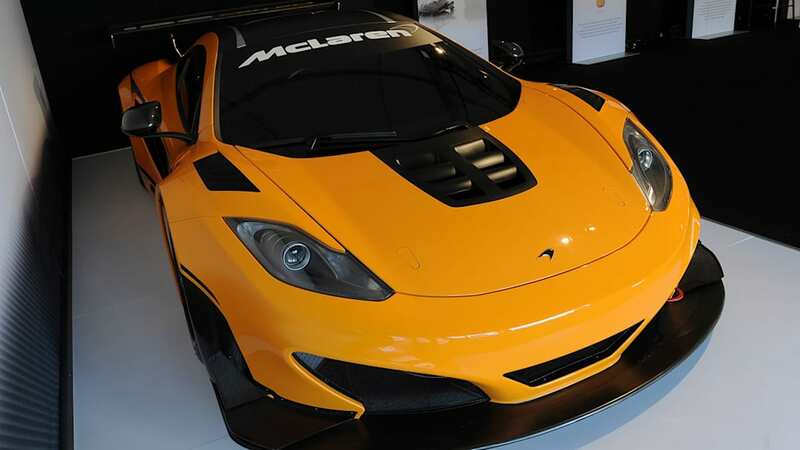 We first laid eyes on the McLaren MP4-12C Can-Am Edition at the Pebble Beach Concours d'Elegance back in August. 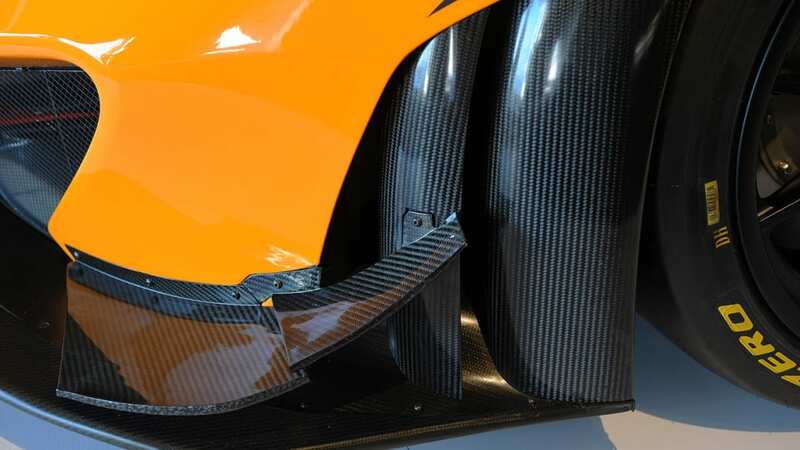 At the time, it was deemed a design study, but after a "remarkable" reaction from the concept's unveiling, McLaren has announced the GT3-inspired car will be sold in extremely limited numbers. 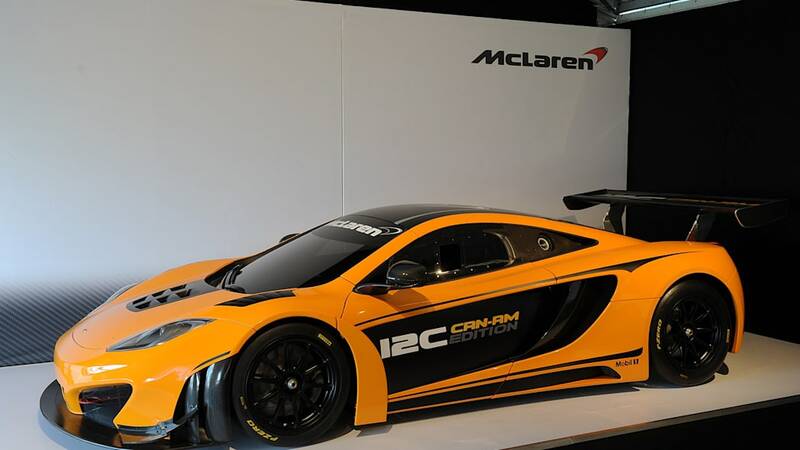 The MP4-12C Can-Am Edition heads to production next March with a hefty price of £375,000 (just under $596,000 USD). 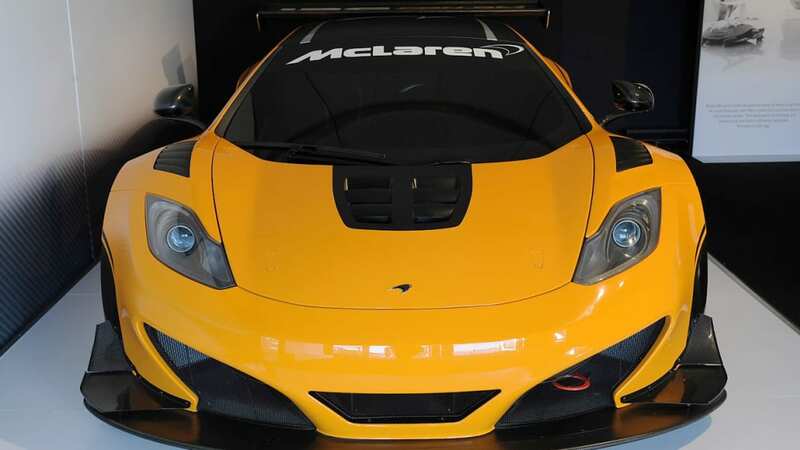 Designed to pay homage to the success of Bruce McLaren and Denny Hulme in the Can-Am Series during the 1960s, McLaren calls its MP4-12C Can-Am Edition the ultimate track car, with upgrades that include an extra 30 horsepower squeezed from the mid-mounted 3.8-liter twin-turbo V8 (now rated at 630 hp). 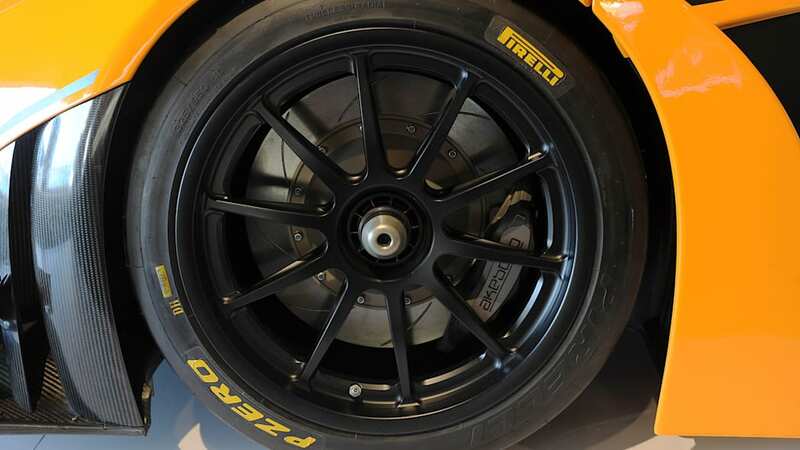 Aerodynamic changes are said to improve downforce by 30 percent, and the car's lightweight forged alloy wheels get wrapped in Pirelli rubber. 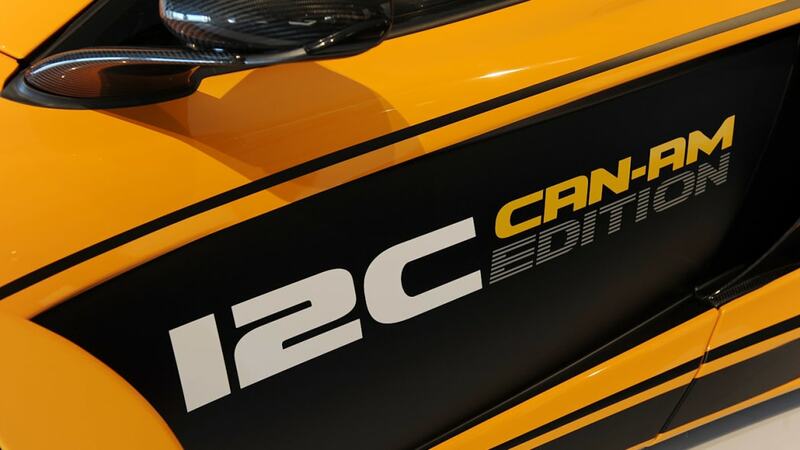 The overall styling of the Can-Am Edition makes it easily distinguishable from the street-legal MP4-12C, but there are also subtle differences to set it apart from the GT3-class racer, such as the engine-cover vents and side air intakes. Even the interior gets a full competition-style setup including six-point harnesses, racing buckets and an F1-derived steering wheel. 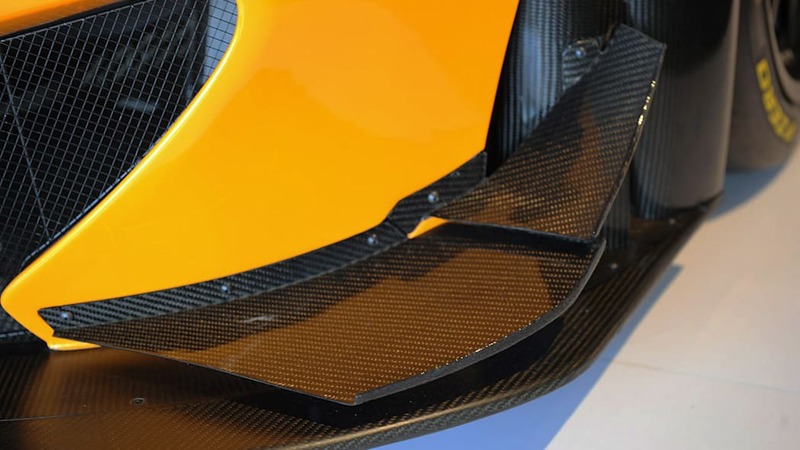 You can read more about McLaren's latest model in the press release posted below. Following the successful premiere of the one-off design study at the Pebble Beach Concours d'Elegance earlier this summer, at an exclusive event ahead of the 2012 United States Grand Prix at the Circuit of the Americas, McLaren GT has confirmed plans for a limited production run of the track-focused 12C GT Can-Am Edition. The limited edition track-special pays tribute to Bruce McLaren and Denny Hulme who successfully raced a series of McLaren models in the Can-Am series, claiming a string of championships between them for Bruce McLaren Racing. 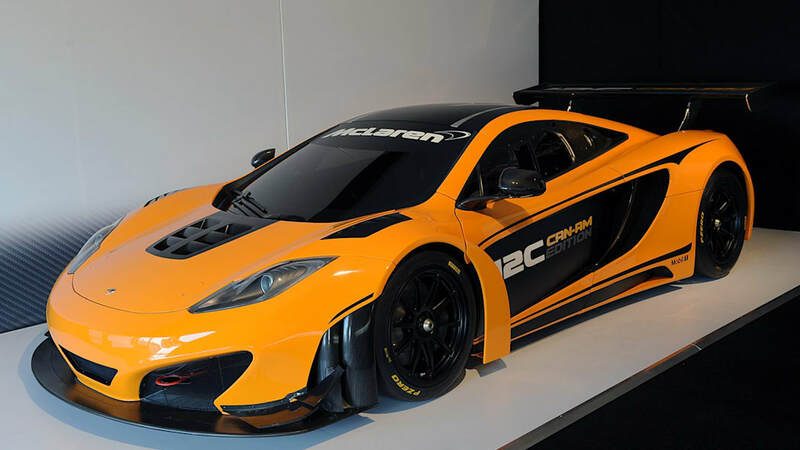 McLaren GT, the race car manufacturing arm of the McLaren Group, will produce no more than 30 examples of the 12C GT Can-Am Edition. 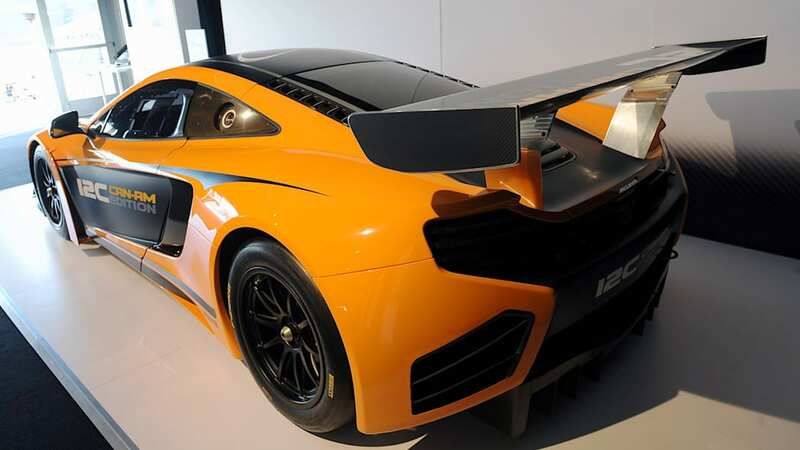 Billed as the 'ultimate track car', these will not be subject to the usual racing regulations of the successful 12C GT3 racer on which it is based. 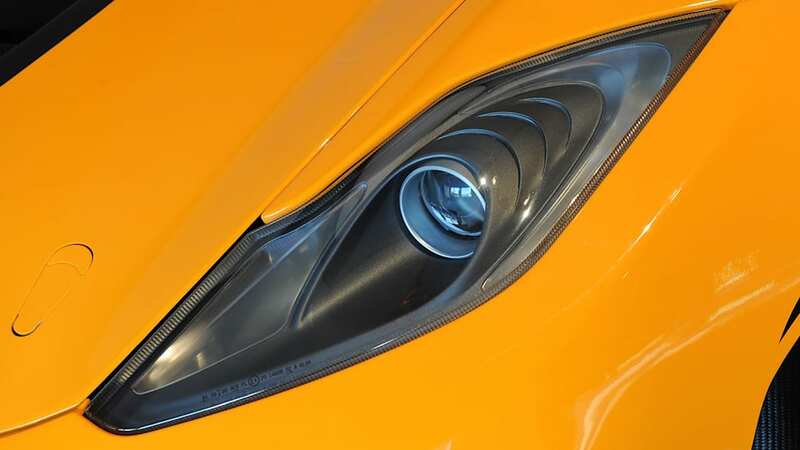 Each will be fitted with an unrestricted version of the familiar 3.8-litre twin-turbo V8 engine with a unique engine calibration, and optimised cooling system to increase the power output of up to 630hp, making the 12C GT Can-Am Edition the most powerful 12C produced to date. 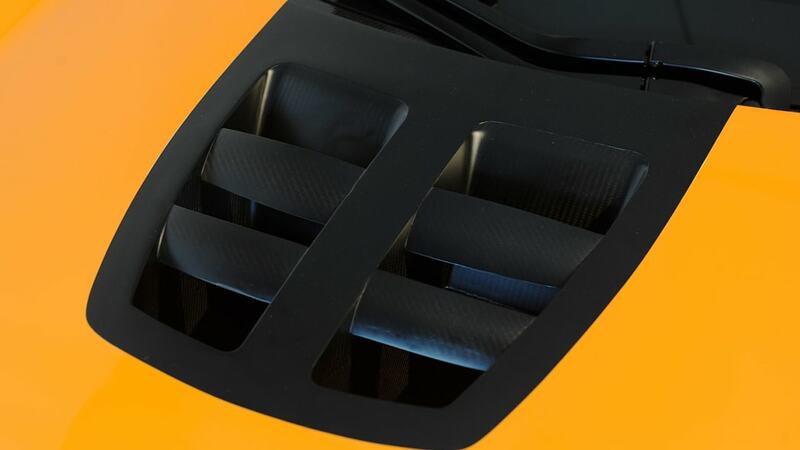 The dramatic appearance of the 12C GT Can-Am Edition is dominated by the large carbon fibre rear wing. 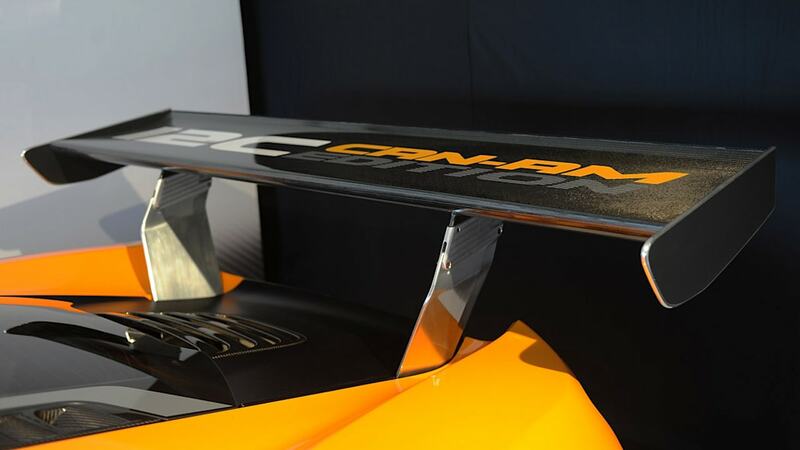 This forms part of a unique high downforce aerodynamic package which has been honed by McLaren Racing using Formula 1 technology and simulation, and offers an increase in downforce by 30 per cent. 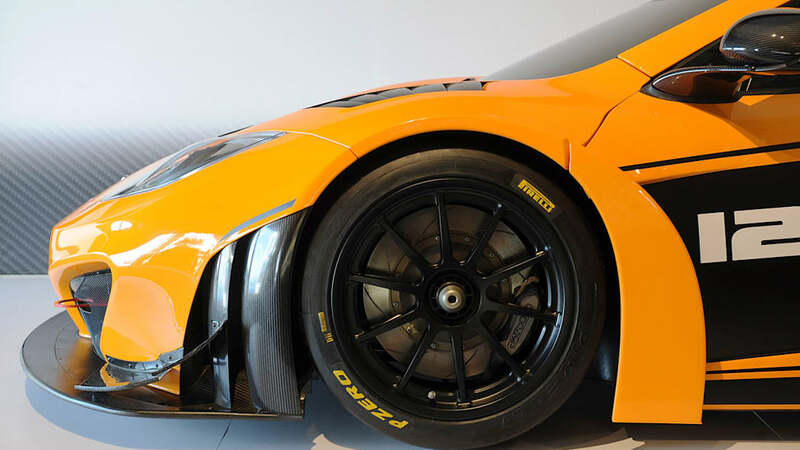 Further carbon fibre components enhance the styling of the track car, further differentiating it from the GT3 racing version. These include door mirror mounts and covers, engine cover vents, side radiator intake vanes, sill covers and badges. 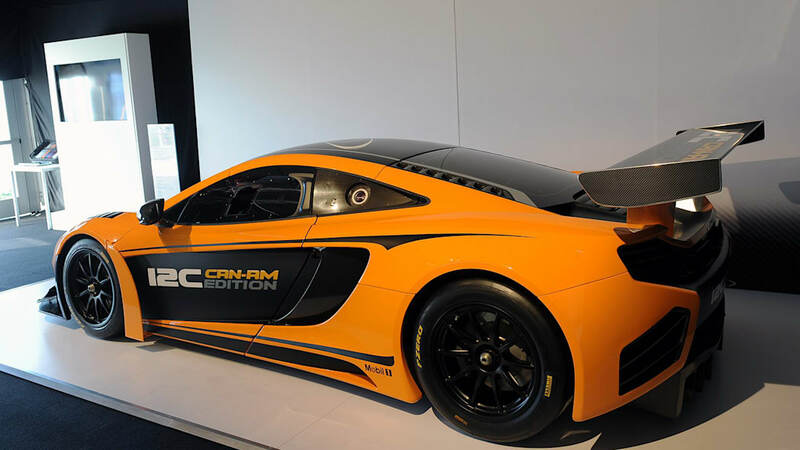 Completing the exterior look, the 12C GT Can-Am Edition sits on black satin-finished forged lightweight racing alloy wheels, shod with Pirelli racing tyres. 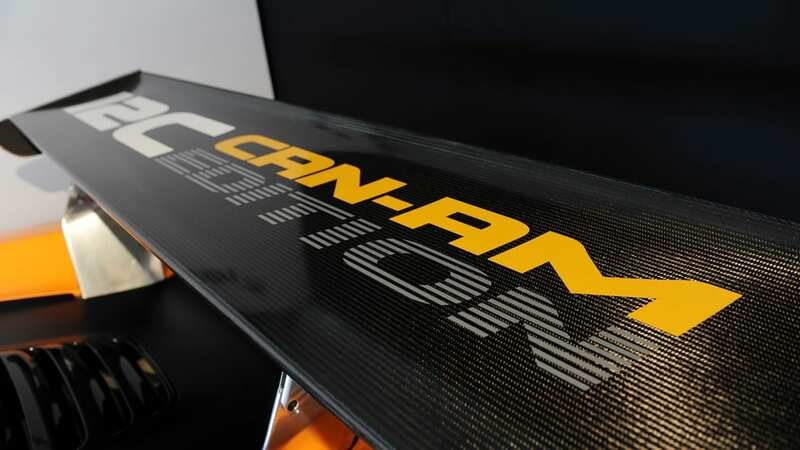 Sharing the same carbon fibre MonoCell chassis as the groundbreaking 12C and 12C Spider, the 12C GT Can-Am Edition is also fitted with a full FIA-approved race-specification rollcage. 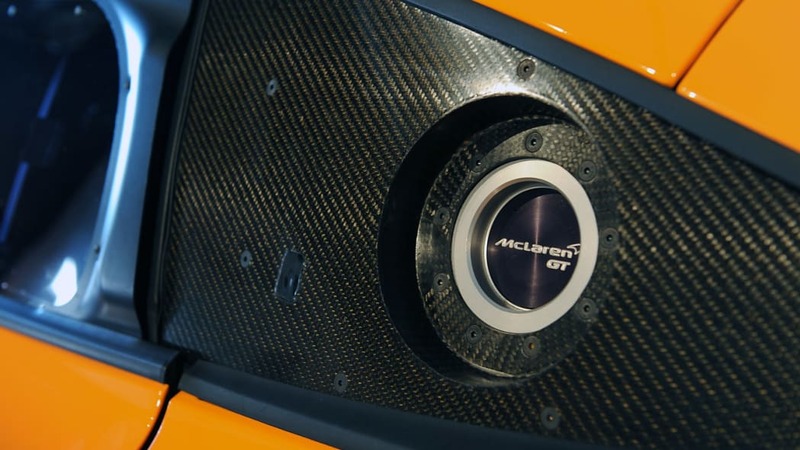 Inside the cockpit are two black race seats, complete with full six-point harnesses, and a unique McLaren GT steering wheel carried over from the 12C GT3 race car. The shape and grip of the steering wheel is derived from the McLaren MP4-24 Formula 1 car. 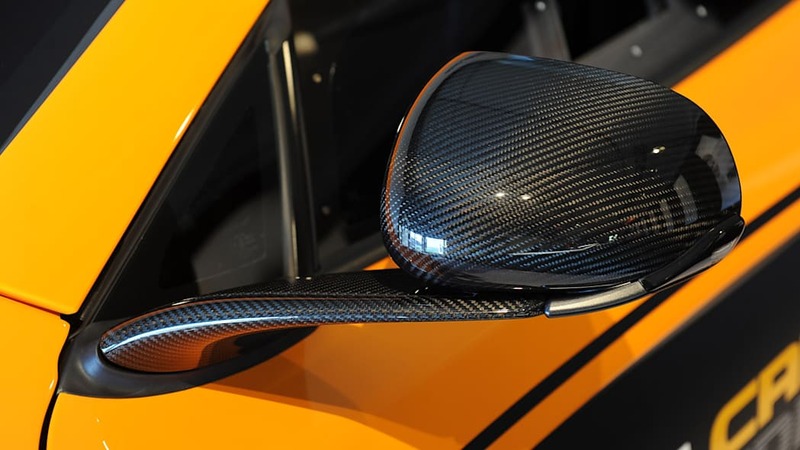 An integrated motorsport air conditioning system is incorporated into the bespoke lightweight carbon fibre dashboard adding a touch of racer comfort. 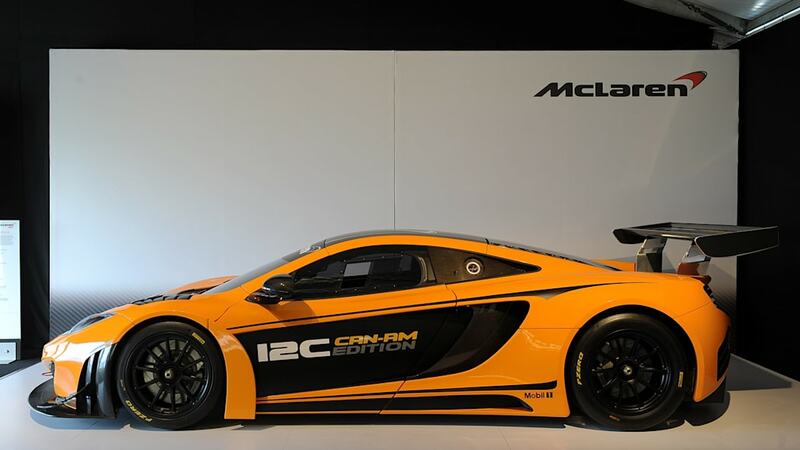 Buyers of the 12C GT Can-Am Edition will also be able to benefit from bespoke support packages from McLaren GT. 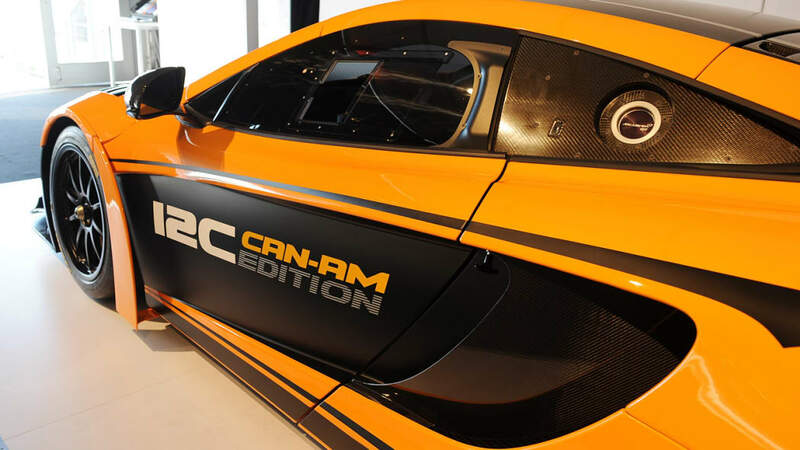 The 12C GT Can-Am Edition will be strictly limited to a production run of no more than 30 cars, costing £375,000. Each will be built at the new home of McLaren GT in Woking, with production commencing from March 2013.